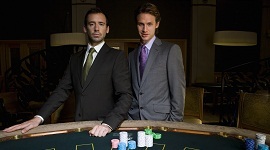 Exclusive Casino Hire will provide your corporate entertainment programme with a touch of class. We call it Corporate Casino Hire. Long after the night has ended your guests will share evocative memories of the time they spent around the roulette table, the business stakeholders with whom they played poker, the colleagues with whom they shared warm moments at the blackjack table, the quiet conversational episodes in between the frenetic activity at the gaming tables and the roulette tables. 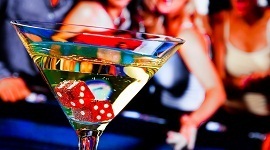 At Exclusive Casino Hire, we know that corporate events are not exclusively about fun. We make sure that there is an equilibrium twixt at the business end of the event and a fun side. 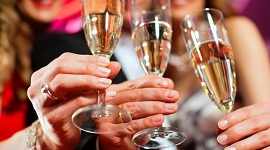 Our Event Managers are well qualified, knowledgeable and engaging conversationalists. They will keep the conversation flowing at the roulette tables and the gaming tables. They have the innate ability to make every guest feel special. Their eye for detail helps them to identify the diffident guests at your party and their friendly approach draws even such guests into the spirit of the evening. Best of all, even before the party begins, you can rely on us to work along with you in a collaborative style, planning the event from scratch. Every moment of the evening will be structured down to custom made poker chips, and specially commissioned fun money. Your wish is our command. We challenge you to stretch us beyond out limit. You want a special night! We will give you a special night! Let’s begin our collaboration right now. After all, at Exclusive Casino Hire, we firmly believe that right now is always the best time for noteworthy accomplishments. 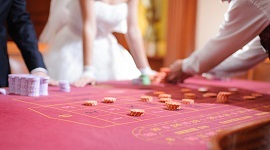 We preset to you a handy ready reckoner when including a fun casino at your corporate event. An Event Manager will be at your disposal to help you to give the event your personal stamp of high class, design the personalized poker chips and fun money, conceptualize the atmosphere, and create special lighting and infrastructure effects, etc. Book Exclusive Casino Hire for your corporate event by calling us directly on 07957 283 809 or e mail us via our contact enquiry form and we will get in touch with you to understand your plans and your ideas and will help you to make them a reality. All this with inputs from our professionally qualified and experienced team who are delighted in making people smile.